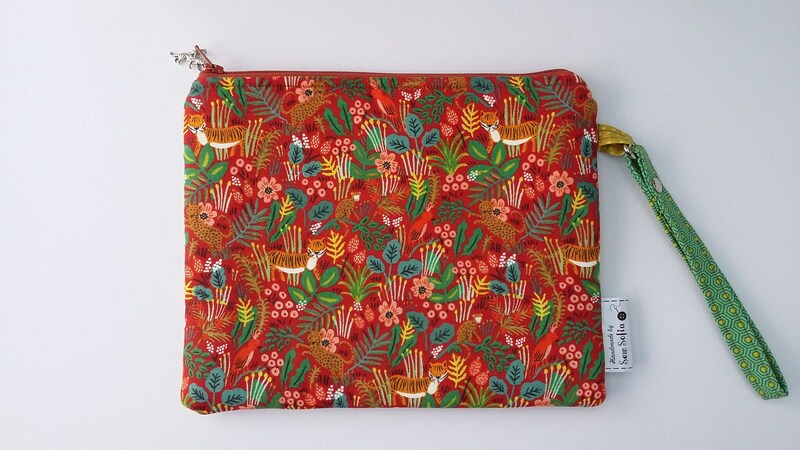 A striking red padded clutch bag in this stunning "Jungle Menagerie" red fabric from Rifle Paper Co depicting tigers, cheetahs, monkeys and tropical birds in a red jungle scene, with a pop of apple green "Twist" dashes for the lining. 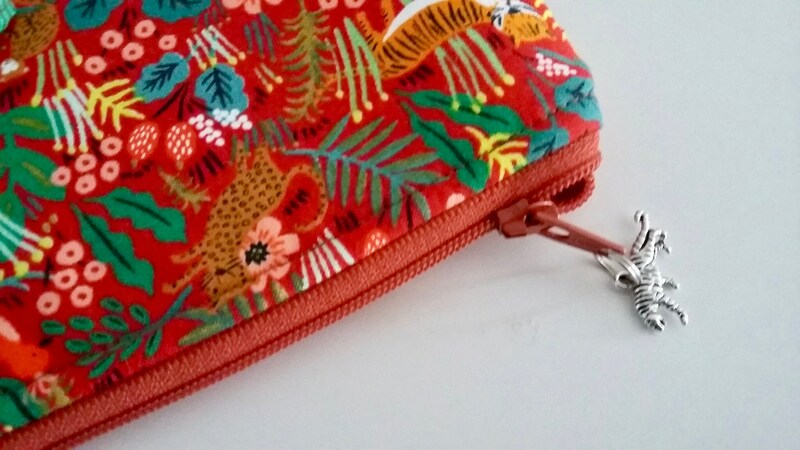 There is a tiny tiger charm on the zip pull for ease of opening! 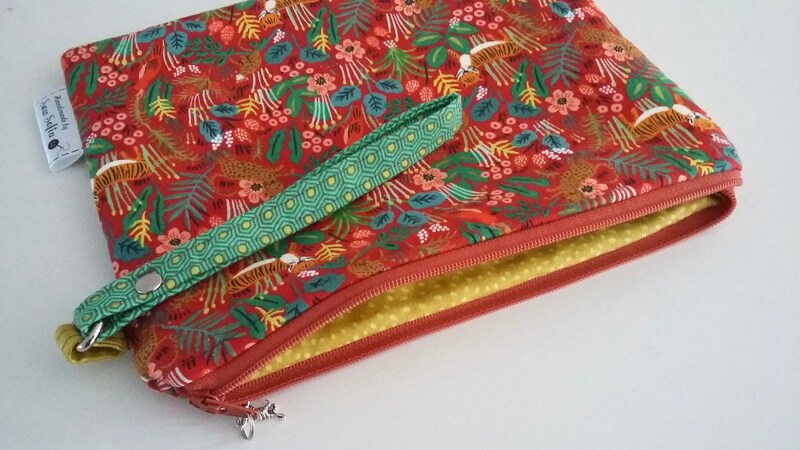 The clutch has a green and yellow hexagon wristlet strap. Lightly padded with two layers of woven cotton interfacing and a layer of foam to give a soft structure. 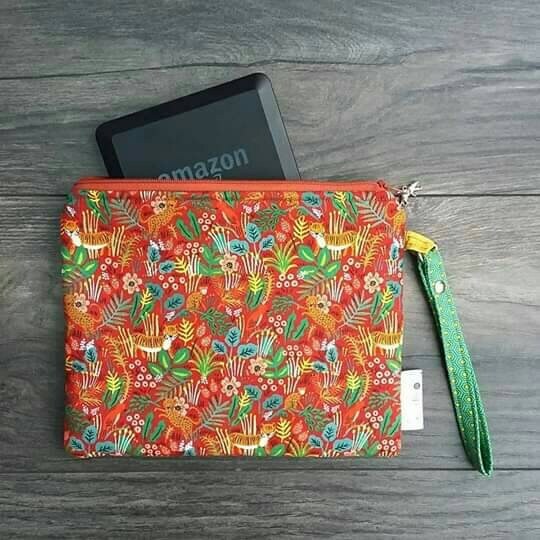 A sweet clutch bag for carrying the essentials on a day out or any special occasion...it can also double up as a travel wallet for your passports and other valuables or for storing a small gadget like a Kindle. 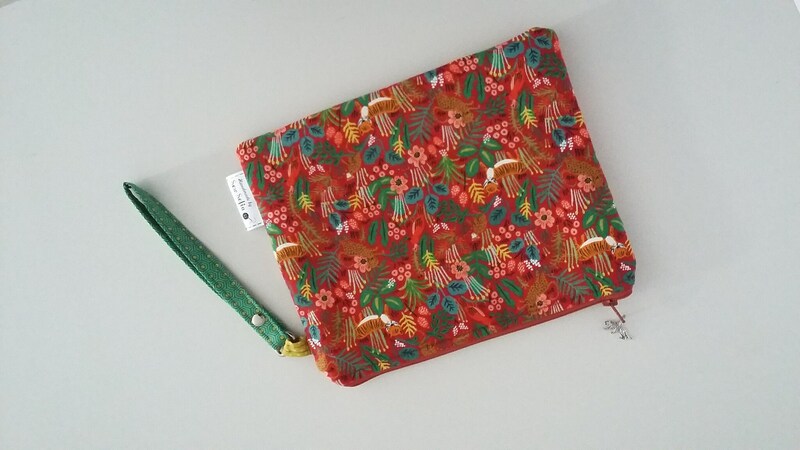 Measures 9" (22.5cm) wide x 7" tall (18cm). 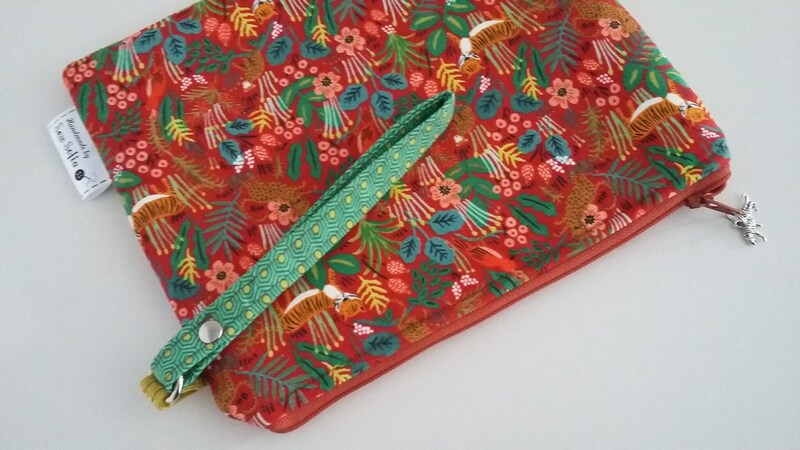 One in stock, ready to post in 1-2 business days. Postage is with tracking in the UK, or standard international shipping with proof of postage.